As we age, certain parts of our face tend to droop, sag, and develop wrinkles. This is most pronounced in the neck and on the sides of the face in areas called the jowls. Facelift can address these signs of aging. In the facelift procedure, incisions are made around the ears and within the hair on the scalp. Modern facelift techniques as done at Rodeo Drive Plastic Surgery in Beverly Hills, Los Angeles provide excellent results by tightening both the skin and the deeper tissues of the face and neck. During your consultation at Rodeo Drive Plastic Surgery in Beverly Hills – Los Angeles Ca, your plastic surgeon will examine you and discuss recommendations for the specific type of facelift to yield the best results. The facelift procedure is often done as an outpatient with recovery either at a specialized overnight care center or at home, sometimes with a private duty nurse. The facelift is performed under general anesthesia administered by a physician anesthesiologist to minimize discomfort during the procedure. 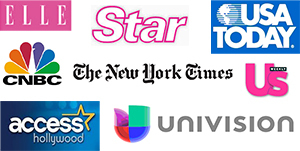 In addition, for the facelift the surgeon uses local anesthesia to numb the face and neck. Most patients have very little pain following the facelift surgery because long-acting local anesthetic is administered as part of the procedure. Most patients return to work about 10 to 14 days after the facelift surgery. There may be some bruising for a week or so and some swelling for a few weeks following facelift surgery. 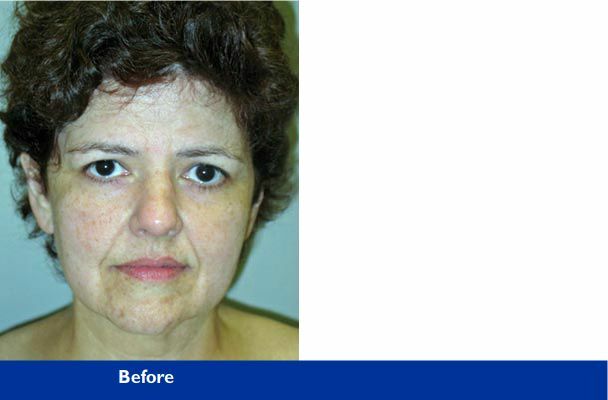 The majority of patients feel good enough to return to most activities after a few days of the facelift procedure. Read more about a threadlift. As we age, our brow tends to sag and droop. We also develop lines in our forehead and along the sides of our eyes. Browlift addresses these signs of aging. At Rodeo Drive Plastic Surgery in Beverly Hills – Los Angeles Ca, we use various browlift techniques depending on the features and needs of individual patients. These include the coronal lift, which uses an incision along the entire scalp; the temporal brow lift, which uses small incisions at the lateral parts of the hairline; and the endoscopic brow lift, which uses several small scalp incisions and telescopes to do the lift. 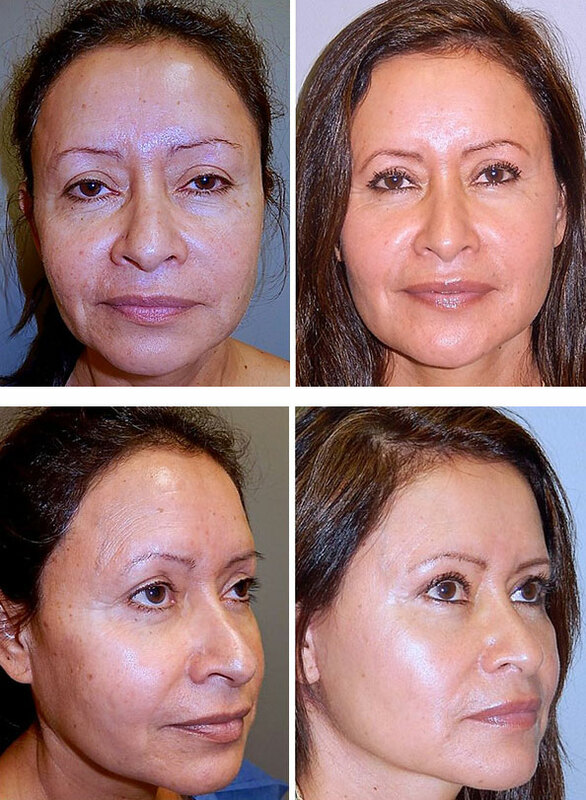 During your consultation at Rodeo Drive Plastic Surgery in Beverly Hills – Los Angeles Ca, your plastic surgeon will examine you and discuss recommendations for the specific type of browlift to yield the best results. The procedure is usually done as an outpatient, and under general anesthesia administered by a physician anesthesiologist to minimize discomfort during the procedure. Most patients have very little pain following the surgery as well because long-acting local anesthetic is administered as part of the procedure. Most patients return to work about a week after surgery. There may be some bruising for a week or so and some swelling for a few weeks following surgery. Eyelid surgery or “blepharoplasty” treats drooping or fullness of the upper or lower eyelids. As men and women age, their upper eyelids tend to sag and their lower eyelids tend to become puffy. These developments can lead to a tired and older appearance. Blepharoplasty uses small incisions that are hidden within natural skin folds. Various amounts of excess skin, fat and muscle are removed. Scars are usually almost imperceptible. Sometimes the lower eyelids can be treated using incisions made on the inside of the lower eyelid, with no external scars, in a procedure called transconjunctival blepharoplasty. At Rodeo Drive Plastic Surgery in Beverly Hills – Los Angeles Ca, we tailor our eyelid surgery to the needs of each individual patient. Though these procedures usually only last one to two hours, the improvements in appearance are often dramatic. During your consultation at Rodeo Drive Plastic Surgery in Beverly Hills – Los Angeles Ca, your plastic surgeon will examine you and discuss recommendations for the best type of procedure and incision placement to yield the best results. The procedure is usually done as an outpatient, under local anesthesia and sedation administered by a physician anesthesiologist to minimize discomfort during the procedure. Most patients have very little pain following the surgery because long-acting local anesthetic is administered as part of the procedure. Most patients return to work about a week after surgery. There may be some bruising for a week or so and some swelling for a few weeks following surgery. Some of us are unhappy with our nose, either because of its size or shape or because of breathing problems. Rhinoplasty reshapes the skin as well as the bone and cartilage inside to alter the size and shape of the nose. Work on the cartilage that separates the two nasal air passages can help with breathing problems. This so-called “septoplasty” is often done as part of rhinoplasty or as the sole procedure. Sometimes this same cartilage is also used as a graft to help in the nose reshaping. At Rodeo Drive Plastic Surgery in Beverly Hills – Los Angeles Ca, all of our nose surgeries feature our innovative Rodeo Drive Breathe Easy Rhinoplasty™. During your consultation at Rodeo Drive Plastic Surgery in Beverly Hills – Los Angeles Ca, your plastic surgeon will examine you and discuss recommendations for the best type of procedure to yield the best results. The procedure is usually done as an outpatient, under general anesthesia or local anesthesia and sedation administered by a physician anesthesiologist to minimize discomfort during the procedure. Most patients have very little pain following the surgery as well because long-acting local anesthetic is administered as part of the procedure. Following the procedure, the nose may be packed with gauze for several days to help mold it into the new shape sculpted during surgery. Most patients return to work about a week after surgery. There may be some bruising for a week or so and some swelling for a few weeks following surgery. One innovation we are pleased to provide at our center is the Rodeo Drive Breathe Easy Rhinoplasty™. This unique approach to nasal procedures has two surgeons working as a team to provide the best possible outcome. 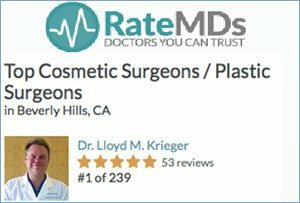 One surgeon, our Medical Director Dr. Lloyd Krieger in Beverly Hills – Los Angeles Ca, is a world renowned plastic surgeon and he uses his refined aesthetic sense and skills to improve the appearance of the nose. Our other surgeon, Dr. Marc Kerner, is a renowned Ear, Nose and Throat breathing specialist. He focuses on improving breathing function if need be or not changing breathing qualities when they should not be altered. With these two experts working as a team, we bring exceptional care to your nose surgery. 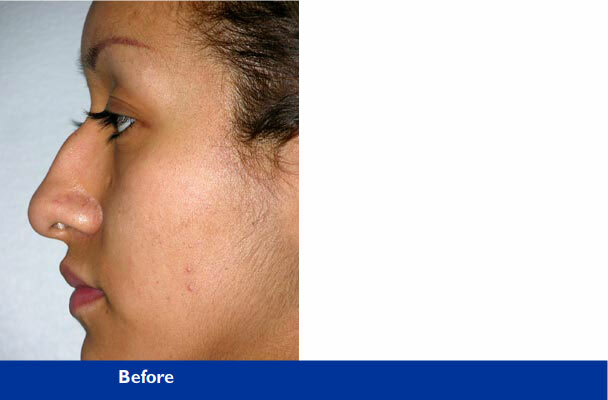 We stress natural results in our rhinoplasties. This means we match our results to the overall appearance of the face. Our goal is to make the nose harmonious with the rest of your features. Where appropriate, we match our results to existing ethnic features to preserve identity — while still improving appearance. We also specialize in revision procedures for people who are not satisfied with previous surgeries. Continue reading about rhinoplasty.